South Yorkshire Police are calling for witnesses to come forward after a cyclist was assaulted and had his bike stolen near Doncaster on Saturday, November 29. The 34-year-old was cycling down Westfield Road, Kirkhouse Green, when a white Ford transit van braked heavily in front of him, forcing him to stop. 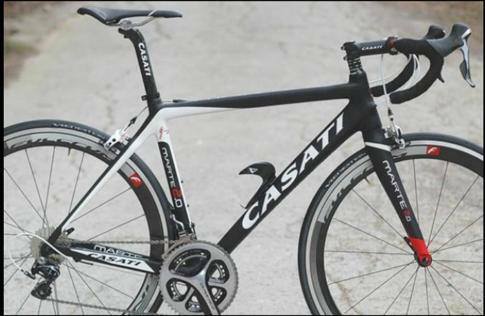 The rider was then knocked unconscious by a punch from the passenger who got out of the van, who then stole his Casati Marte bike, pictured below. “The man who punched the rider is described as white, approximately 5’10” tall, of large build with broad shoulders, around 25 to 30-years-old. He had brown hair, was unshaven with stubble and had a moustache,” the police said in a press release. Call South Yorkshire Police with information on 101 quoting incident number 627 of November 29. Alternatively, call Crimestoppers anonymously on 0800 555111.